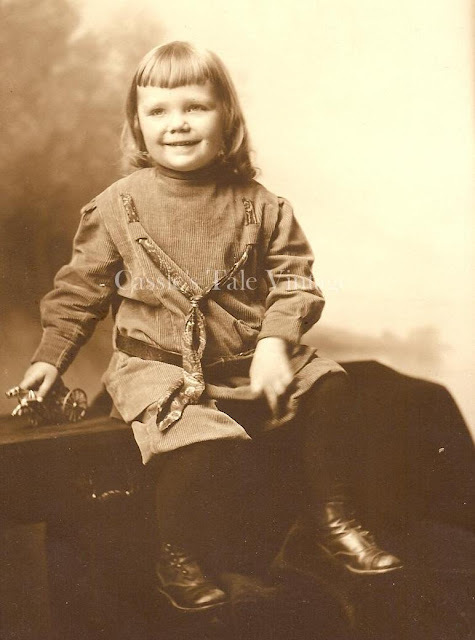 We recently acquired some wonderful old photographs of children from the early 1900s. In many, the children are wearing tunics and romper suits, which were quite fashionable at the time. While initially rompers were primarily worn by young boys, it wasn't long before they were being worn by boys and girls alike. 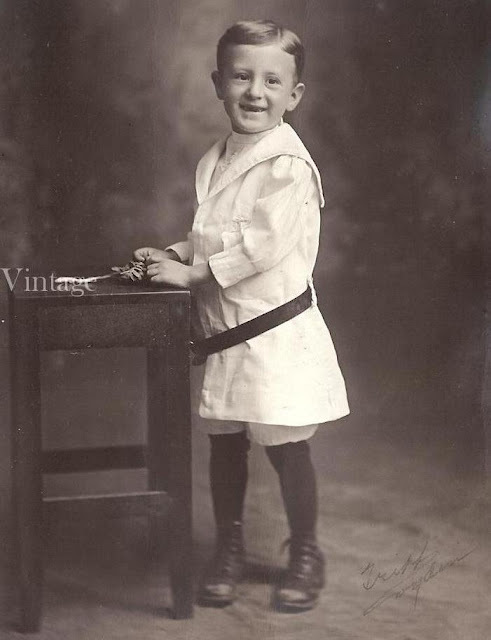 When tunics and romper suits became a popular form of children's wear around the turn of the century, it marked a significant departure from the Victorian era, when children were commonly dressed in fancy outfits that were, to say the least, not especially conducive to youthful (e.g, messy) play and exuberance. Clothing stores, of course, were quick to jump on the advertising bandwagon to promote this new trend. 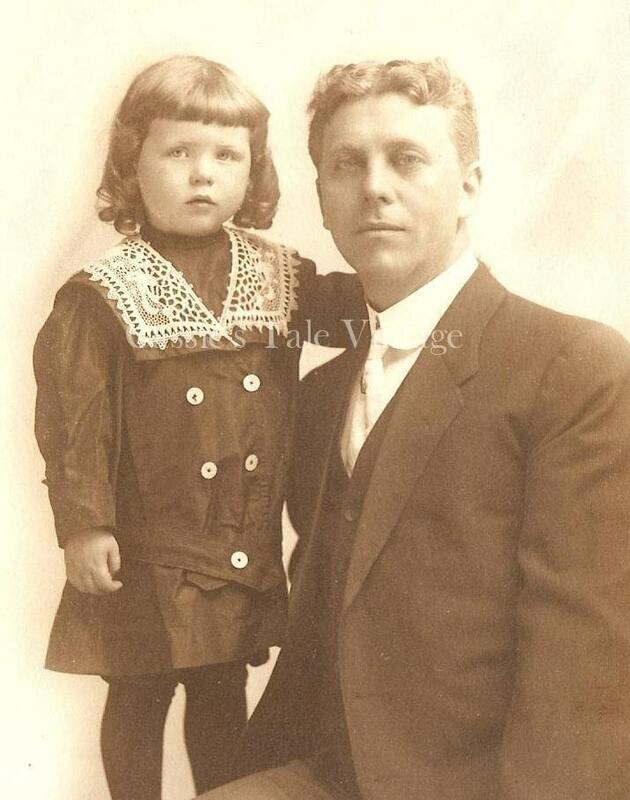 The Joseph Horne Company, for example, took out an advertisement in Pittsburgh's The Gazette Times on June 1, 1912, with separate sections devoted to "Rompers and Play Suits for Boys," "Rompers for Girls," and "Babies' Rompers." 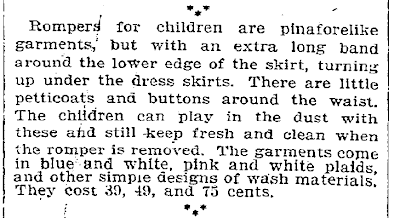 The advertisement claimed that rompers were "recommended by physicians as the ideal garment for children." It encouraged parents to dress their children in rompers so that the kids could "scramble over the turf and dig in the sand." You have a great selection. Very interesting info on rompers! I didn't really know what they were - love to old photos. I didn't know that, great news and photos. I think I lived in that era in a past life. Very interesting info. Of course, pictures are pressious! Love the vintage photography! Great information! Interesting post.....takes you back in time! Rompers....now there's a word and a style to boot. I haven't thought about rompers since I was as old as the kids in the pictures. Lovely post. Thank you for sharing!